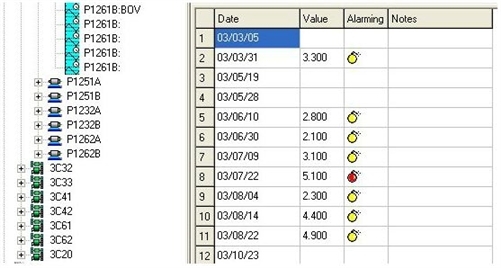 Benstone PDM Software - TRENDEX Reliability Direct, Inc. Your Direct Source for Reliability, Maintenance, Test & Measurement! Trendex software coupled with the v-Pod ll is a cost effective solution to your management of machine health condition. 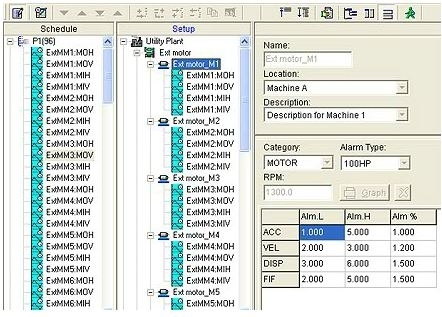 Until now, most solutions require very expensive analyzers and software analysis programs that collected more data than was necessary for most basic predictive maintenance projects. Trandex is setting the new standard in route collection asset management. With simple to use one-click reports, downloading pre-defined routes, trending and alarm analysis, Trendex provides a very cost effective strategy to your data collection needs. With Trendex, you may easily build up a data base for managing the vibration data of your machines, so as to prevent from unscheduled shut-down and save your maintenance cost. Unlike the expensive and complicated soft wares that managing all the vibration spectral data, Trendex only deals with the overall vibration levels and leaves the diagnosis work to vibration experts. 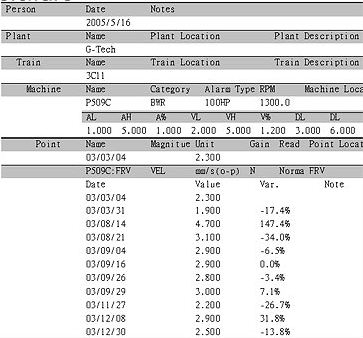 This is simple, cost effective, yet is sufficient for a basic predictive Maintenance project. You may download a pre-defined measurement to the data collector vPod II for mass data measurement in the field. Trendex allows you to do trending plots with alarm levels for analyzing the conditions of your machines. 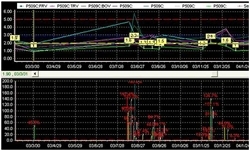 Trending plots showing the history of vibration and alarm conditions, as well as the percentage of change. Trendex's database shows you the vibration history and alarm status.